In a perfect world, your customers would magically discover your small business with no effort required on your part — and they would tell their friends, who would enthusiastically buy your products and services, and spread the word even further. But, alas, getting the word out about your business usually doesn’t occur with such ease. It takes effort and and an investment of time and money in marketing. Marketing is a huge part of owning a small business. Whether you are just starting out or seeking to grow an existing business, finding new customers and retaining the ones you already have presents a never-ending challenge. Both new and existing customers are critical to your business, and in order to reach them, you need to understand the marketing channels available to you, and how and when to put them to optimal use. What are those channels, and where do you begin? This guide will explore the possibilities for expanding your customer reach in the 21st century marketplace and help you put together a marketing strategy that fits your budget and serves the unique needs of your business. An almost overwhelming number of marketing vehicles are available to small businesses today: from online, to in-person, to print. While it may not be practical or advisable to implement them all, it helps to understand your options, so you can make informed choices that will attract the customers you seek. Once your business is up and running with a business plan, a funding source, and the right small business insurance in place, these marketing techniques can help you broaden your horizons and find new customers. Email marketing is one of the most effective — and economical — ways to reach out to new clients and stay top-of-mind with existing ones. Two things are essential for email marketing success: a solid list of contacts, and content your audience values, such as special offers, coupons, seasonal greetings, useful research, or helpful tips. To build a list that will serve your business well, make a regular practice of gathering email addresses from customers and colleagues, on your website and blog, at live events, and anywhere you meet prospective customers. Offer free content such an e-book or white paper as a means of generating leads and an incentive for providing their email address or subscribing to your email newsletter. Send emails on a regular schedule — either weekly or monthly to start. Keep your email messages short and catchy, and include a strong call to action that clearly states what you want the recipient to do. Provide value. Before pressing the send button, ask yourself if your email content is useful and relevant for your customers. If not, rethink your message. Email marketing tools such as Constant Contact, MailChimp, AWeber, or GetResponse provide a low-cost way to design your own emails, compose content, view results, and manage your subscriptions. Direct mail marketing — through catalogs, postcards, flyers, and the like — remains an effective way to build your brand identity and communicate with your target audience, even in the digital age. Printed materials are tangible, have a longer shelf life, and engage more of the reader’s senses than digital content. Plus, if you send them through the mail, they can’t help but get noticed when your addressees retrieve them from the mailbox. To execute a successful direct mail campaign, you’ll need a mailing list for your target audience, whether that’s your own list or one you rent from a direct mail vendor. Be sure your mailer is well written and designed, and includes a clear call to action to elicit the desired response. A potential disadvantage of direct mail is cost. You will need to pay for printing, paper, and postage, plus a mailing list if you choose to rent one. However, printing costs have come down considerably in recent years, and it’s possible to create a direct mail campaign for just about any budget. With well over one billion users, Facebook offers the opportunity to reach out to an ever-expanding number of contacts — through posts, invitations to online or offline events, targeted content and ads, and more. Twitter is where people of all backgrounds and professions share ideas, information, and insights — all in 140 characters or less. LinkedIn is a professional social networking site where you can connect with other business people, post business-related insights, and join like-minded online professional groups. Instagram is a means to share what you do in a visual way — with images and videos that showcase your products and services. Writing a blog gives your business a voice and is an excellent way to share your expertise. If you had to choose just one social media channel for your business, Facebook will probably give you the biggest return on your investment of time. But no matter which channel(s) you choose, post regularly and respond in a timely way to all comments, questions, and especially complaints. Also take the time to listen to what your customers and prospects are saying online. The insights you glean can help you target your marketing messages and hone your products and services. You can even respond with a timely Facebook post or blog article that addresses your customers’ top concerns. Advertising is a tried and true way to get the word out about your business, but it can be costly. 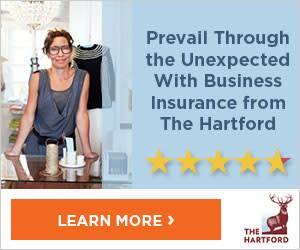 Since most small business owners don’t have a large advertising budget, it’s critical to narrow your options to those venues that will yield the biggest return on your advertising dollars. This requires careful up-front planning to identify your target market and the right timing and placement for your ads. If you offer seasonal products and services, plan your advertising for when they’re most in demand. Place your ads in the magazines, newspapers, and websites where your prospects go for information about your products and industry. Well-targeted ads placed in traditional media, such as magazines and newspapers, have high success rates but can be pricey. Digital ads are available for a fraction of the cost and can reach a much wider audience. Options include targeted ads on Facebook, Twitter, and LinkedIn, and pay-per-click ads that appear in search results, on website banners, and other strategic internet locations. Every small business owner also should check out online directories such as Yelp and Google Plus. These are free forms of advertising that reach a large audience in search results. Claim your listings and complete your business profile, and ask customers who are happy with your products and services to post reviews. Send press releases to media contacts that cover your industry. Post events on online and print calendars available through newspapers, magazines, and other media outlets. Register with Help a Reporter Out as an expert resource in your industry. You may be quoted by reporters, bloggers, and journalists who tap your expertise. Word-of-mouth is the most reliable means to get new clients. According to a recent Nielsen study, 83% of consumers take action based on recommendations from people they know. The most obvious way to generate referrals is to deliver outstanding products and services, along with customer service that sets your business apart from the competition. Always be personable, return phone calls promptly, and go the extra mile. Delighted customers will naturally tell others. You may also join a small business alliance where members make a practice of sharing leads and referrals, or agree to share referrals with other businesses that complement your own and have the same target customer. An in-person presence is still one of the best ways to make an impression. Meeting people face-to-face builds relationships and trust, and makes your business and brand more memorable. So, get out and meet people. Engage in friendly conversation and network wherever and whenever you can. Join your local chamber of commerce. Attend industry trade shows, events, and conferences where you can meet face to face with hundreds of people who share your expertise or are in need of your services. Volunteer to serve on committees within your community — anything to bring notice to your business and get to know prospective customers. Live events take your in-person presence to the next level by engaging your customers in a more formal way. Events may be held online or offline, and you may serve as either a host or sponsor. Done right, events can help you build new relationships and leave a lasting impression of your company, product, or service. Webinars are an interactive way to deliver training, lectures or workshops to an audience that is unlimited by geographical location. Top webinar tools include Zoom, GoToWebinar, ClickMeeting, and Adobe Connect. You can also live stream events of which you are the host or participant via social media, such as Facebook, or applications such as Livestream. To spread the word about your event, in addition to email, social media, and PR, consider Meetup.com, an online facilitator of in-person events with millions of members around the world. For a small fee, you can set up an event page with all relevant details and Meetup will spread the news to the members within your geographic location who meet your target areas of interest. Many small businesses sell their goods and services through eCommerce marketplaces — online portals that represent multiple third-party sellers, whether of a particular type of product or a range of different products. Shoppers benefit through access to many different sources and competitive prices, and small businesses benefit through access to a much larger audience than they could reach on their own. Often, the marketplace reach is global. Most marketplaces work in a similar way. The marketplace displays the seller’s offerings and processes transactions in exchange for a fee. The third-party seller maintains inventory, ships products, and controls pricing. Here are five of the most popular eCommerce marketplaces online today. Amazon.com is the largest online marketplace in the U.S., selling everything from clothing, to electronics, to multimedia products. The price competition is fierce, though. You may need to reduce your usual profit margin, in addition to paying Amazon’s fees. eBay is the original online marketplace for both auction and retail items, with close to 96 million unique shoppers per month. But buyers command low prices and eBay’s fees can add up. With Shopify, you can create your own online store. Shopify takes care of the marketing, payment processing, and shipping, and provides tools so you can manage your inventory, fulfill orders, and track sales and growth on your own. Multiple monthly plans range from $29–$299 per month. Groupon and Living Social offer daily deals and coupons to their online networks of millions of customers. They attract customers by offering deals at a greatly reduced cost. You may not make a profit on goods or services you sell through either marketplace, but you can gain exposure and establish new customer relationships to build upon. Just be prepared for the influx of customers that will likely come your way. While new customer acquisition is vital to your business, your existing customers actually mean more to your bottom line. The probability of selling to an existing customer is 60–70%, while the probability of selling to a new prospect is 5–20%, according to the book, Marketing Metrics: The Definitive Guide to Measuring Marketing Performance. So it’s important to not take your existing customers for granted — and to maintain focus on retaining and increasing their business with you. Get personal. Send thank you notes and seasonal greetings, and tailor your services and communications to meet your customers’ unique needs and interests. Reward customer loyalty. Give discounts or hold sales exclusively for your existing customers. Offer rewards such as gift cards or a free item to those who refer their friends and family, or who spend a certain amount of money with your business. Send out a monthly or weekly newsletter with news of sales, business updates, and valuable tips and ideas. This is one of the most effective ways to stay in touch and keep your customers thinking about you in between purchases and sales calls. If you encourage your subscribers to share your newsletter with friends and family, it can also be a lead generation tool. Host customer events as a way to show your appreciation and build deeper relationships. These can be times to socialize, such as a sit-down dinner at a restaurant or a golf outing. You can also use them as opportunities to offer training or share news about your business, your product line, and advances in your industry. Your customers will appreciate the attention, and the connections you establish may pave the way for upselling products and services. Choosing the marketing vehicles that will bear fruit for your business is critical: The right choices will pay off with more customers. The wrong choices will cost both time and money. This is a short statement that summarizes the most persuasive reasons why people should do business with you versus your competition. Clearly articulating your UVP gives direction to your business and increases the effectiveness of your marketing efforts. Describe your ideal customer in detail, including age, gender, marital status, earnings, and location, as well as lifestyle. This will guide your choice of marketing vehicles and their placement, and help you compose messaging that will resonate with your target audience. Will you advertise, host an event, or vend your wares through an eCommerce marketplace? To answer these important questions, map out your sales cycle and begin by identifying where your prospects go for information about the products and services you sell. Decide how you will convey your value proposition at that point and at all later points through final sale and customer retention. If you’re just starting out or experimenting with new marketing venues, start small. Test out various options and evaluate the results. Increase your spending in those areas where you achieve success. Put in writing your unique value proposition, customer profile, and the marketing options you’ll employ to reach your target audience(s). Include your budget. Remember, this is a guide and not set in stone. Once you’ve had the opportunity to put your marketing plan to the test, re-evaluate your plan every six months or so and make any necessary refinements. A CRM allows you to consolidate and organize the information you gather about all your new and existing customers, and then use that information to manage your relationships. This will help to ensure a positive experience for all. Marketing is a constant process of trying new tactics and assessing their cost and effectiveness. By knowing your business’s capabilities and limitations — and evaluating your marketing plan on a regular basis — you’ll be in a good position to make informed decisions that yield results. Just never stop marketing. Want more tips and advice on how to achieve small business success? 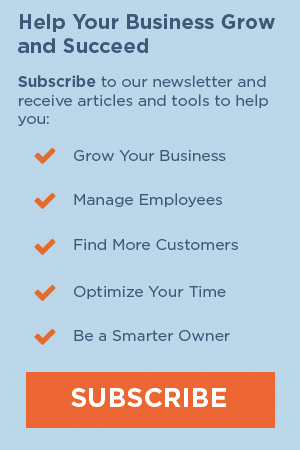 Subscribe to the Small Biz Ahead weekly e-newsletter. 3 Responses to "How to Find New Customers for Your Small Business: The Ultimate Guide"
Thanks for sharing. These are all simply fabulous ideas! In my small business (located in a downtown area) we are apart of a wine walk. Local wine is served @ 17 shops & boutiques & customers spill out of the stores. We all have great time. Also, a nice bonding time for my employees! It is great to get involved in community activities, Mary. Thanks for sharing!